1. 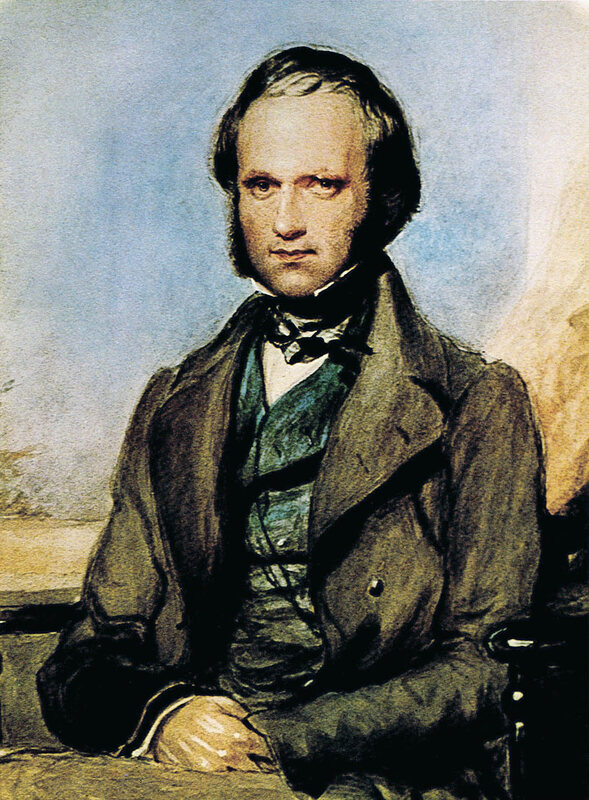 "Portrait of Charles Darwin." George Richmond, 1840. 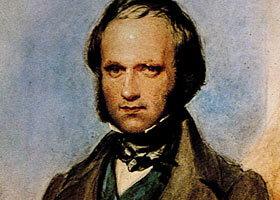 One of the most widely known pictures of Charles Darwin at age 31. "From so simple a beginning endless forms most beautiful and wonderful have been, and are being, evolved. "Early taxonomic tree drawn by Darwin in his notes." Notebook B: Transmutation of species (1837-1838). Charles R. Darwin. 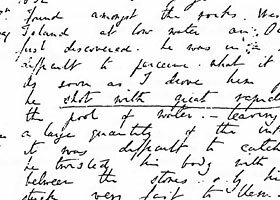 "From So Simple a Beginning" shows how Charles Darwin's theory of the mechanisms that drive evolution, challenged and influenced scholars, writers, artists, and scientists to rethink the relationship between man and all other life. 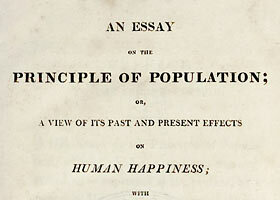 On the Origin of Species by Means of Natural selection; or, The Preservation of Favoured Races in the Struggle for Life was published 150 years ago on November 22, 1859. 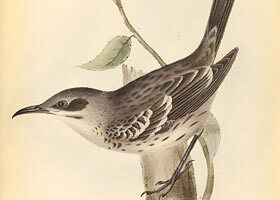 This seminal book made Charles Darwin and his ideas the talk of the next 150 years. 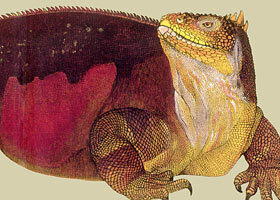 Charles Darwin was born Feb 12, 1809 the 5th of the 6 children of Robert Darwin and Susannah Wedgwood. The death of his mother at age 8 caused him to learn self-sufficiency; consequently he became fond of activities that did not require the company of others. Interested in natural history at an early age, Darwin was an inveterate collector of everything from plants to pebbles. At age 18 his father sent him to Cambridge University to become a clergyman. 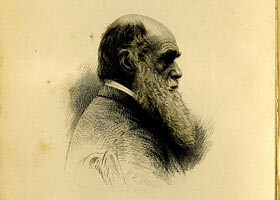 At Cambridge Darwin's interests in natural history was fostered through his friendships with science professors. To this end, Darwin seized the opportunity to travel on the H.M.S. 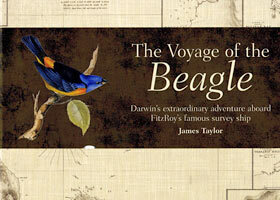 Beagle on a natural history expedition under the command of Captain Fitzroy. 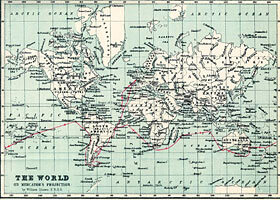 On Dec 27 1831, he left England for a survey of South America and a circumnavigation of the globe. Darwin took several books along that strongly influenced him. 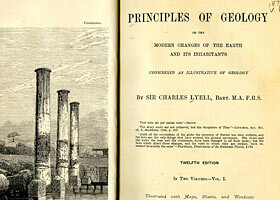 Chief among these was Principles of Geology by Sir Charles Lyell. This book along with the journals he kept and specimens he collected provided him with the raw material for his great idea. 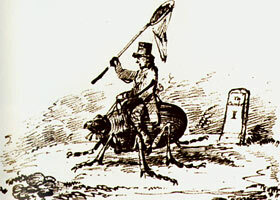 Darwin continued in his habit of collecting on the expedition. He found that the more he observed and collected, the more questions he had about the diversity of life and how that variation arose. Darwin was convinced by his voyage that variation arose from within a species to adapt and fill the natural world, but what was the mechanism that drove this variation?